Rabbit anti Human, Mouse NAT11. 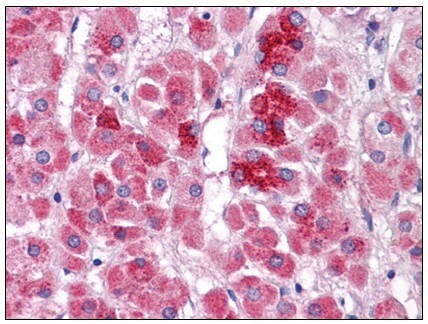 Immunohistochemistry on Paraffin Sections: 5 µg/ml. 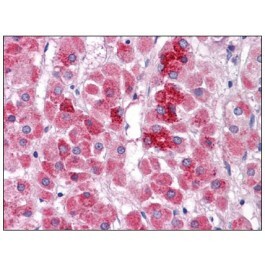 Western Blot: 1 - 2 µg/ml. 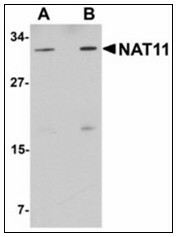 This antibody reacts to the C-term of N-acetyltransferase 11 (NAT11).